Synopsis: 19th century Spain. The Spanish people have expelled the French but now have to deal with the unjust Fernando VII in their stead. Rabal plays José María, a.k.a. 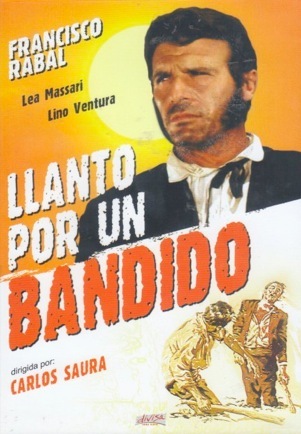 'El Tempranillo', leader of a group of bandits who garner a Robin Hood-like reputation in robbing only the rich, dealing fairly with normal people, and their continuing defiance of the King. Overall, aside from the impetus to be more oblique in presenting a view that might be considered politically 'problematic' by the regime, the elements that seem to me to be significant in terms of Saura's later work are: the allusion to Goya and his Duelo a garrotazos / Fight with Cudgels in the fight sequence between Rabal and Lino Ventura (below) where, buried up to their knees, they batter each other with branches; and also what is already quite a distinctive use of music (certain sequences appear to either be cut to the music, or the actions within the sequence -for example, the blows Rabal rains down on Ventura- are timed to fit the rhythm of the music, which is often diagetic, i.e. we see it being performed onscreen). 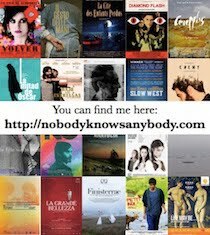 Seguin, Jean-Claude (2011) - 'Carlos Saura', in Directory of World Cinema: Spain, edited by Lorenzo J. Torres Hortelano, Bristol: Intellect, pp. 53-56.